Yesterday the parliamentary debate evaluating the 2017 General Elections of the Netherlands was held. A delegation of Gender Concerns International attended to observe the evaluations and attention to the issues concerning gender-disparity in Dutch electoral system. Gender parity issues and accreditation issues were discussed. 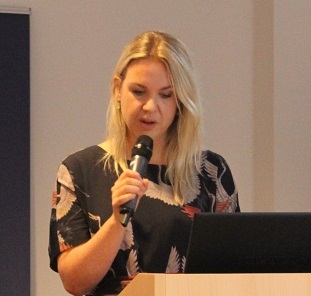 A motion presented by Ms. Femke Merel Arissen stressed that it is important for governing institutions to reflect society, and therefore gender balance should be taken into account in the formation of the new government. 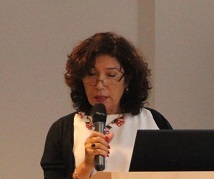 Ms. Nevin Özütok and Ms. Arissen presented a motion stating that the current accreditation system to observe elections is not transparent, by comparison is much faster in Germany and Norway, and therefore requests the new government to investigate how the accreditation system can be made more accessible for election observers. Both Ms. Özütok and Ms. Arissen discussed and asked questions about the findings and recommendations of the GEOM (Gender Election Observation Mission) Netherlands 2017 Final Report. Comments in the discussion included that of Mr. Henk Krol of 50PLUS, indicating that in his party both in Parliament and the Senate there is a 50/50 gender balance. Minister of the Interior and Kingdom Relations Mr. Plasterk answered questions about the report and its recommendations, some after further questions of Ms. Özütok and Ms. Arissen. The motions can be found at https://www.tweedekamer.nl/debat_en_vergadering/plenaire_vergaderingen/details?date=14-09-2017#2017A02077. The debate itself can be found at https://debatgemist.tweedekamer.nl/debatten/evaluatie-tweede-kamerverkiezing. Updates about further follow-up will be posted on the website.